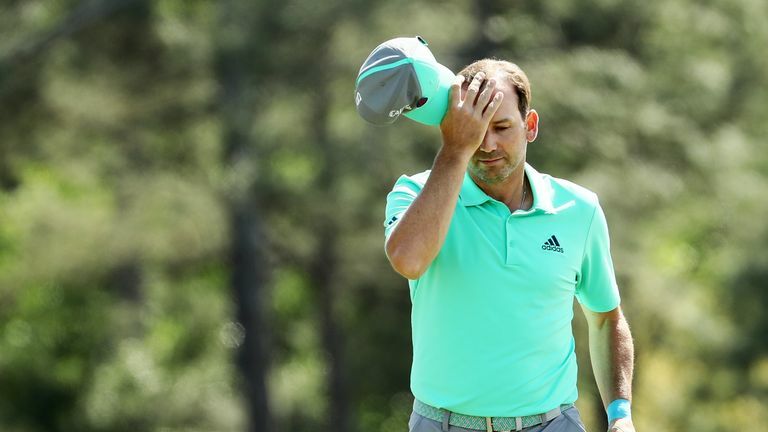 The European Tour has confirmed to Sky Sports News Sergio Garcia will face no further disciplinary action for his disqualification in Saudi Arabia. Garcia was thrown out of the inaugural Saudi International for damaging the greens during Saturday's third round, issuing an apology for his actions soon after. The Spaniard became the first player to be disqualified for "serious misconduct" since the tour's inception in 1972 and further action including a heavy fine and possible suspension had initially been hinted at. Garcia is understood to have made scuff marks and a divot hole on putting surfaces at the Royal Greens Golf and Country Club as his fragile temper got the better of him. Players from groups behind Garcia's are understood to have complained about his actions. His disqualification was announced by the Tour after the conclusion of the third round in a statement in which Garcia said: "I respect the decision of my disqualification. In frustration, I damaged a couple of greens, which I apologise for, and I have informed my fellow players it will never happen again." Garcia was also spotted losing his temper during Friday's second round when he slammed his club into a bunker after needing two efforts to escape. He was critical of poor bunker raking for the lie he had been left in by a wayward tee shot. European Tour chief executive Keith Pelley had hinted no further action would be taken on Sunday when he said: "The incident is over. We have dealt with it. Sergio has apologised to the players and we move on."